People in hiring positions, the pamphlet advised, should ask women whether they had small children or “infirm dependents,” and hire locally when possible. Although World War II saw an expansion of child care options, sponsored both federally and by some individual employers, this pamphlet makes it clear that the government preferred not to see mothers using these resources, if at all possible. This booklet [PDF] is part of the National Archives’ new permanent exhibition, Records of Rights, which will open in November—shutdown willing—in NARA’s new David M. Rubenstein Gallery. 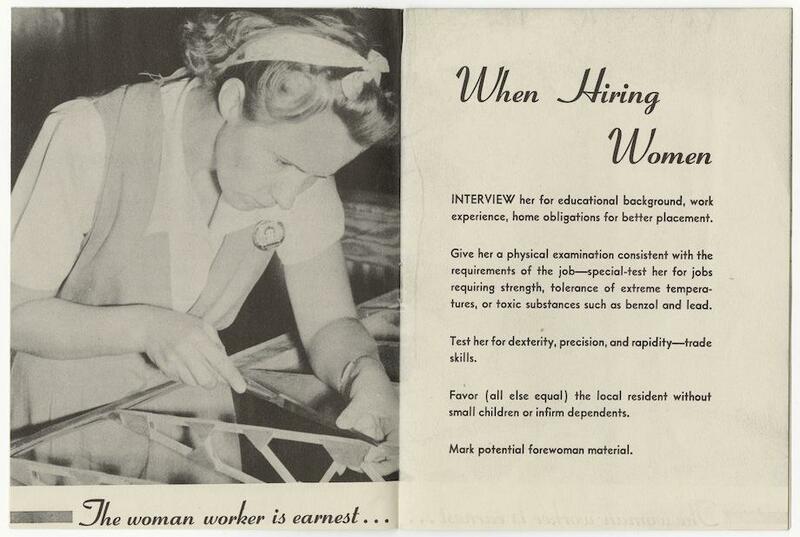 “You’re Going To Employ Women.” Pamphlet from the War Department, 1943. National Archives and Records Administration.